Netflix's Marvel Cinematic Universe began with Daredevil back in 2015. The Netflix branch of the Marvel Cinematic Universe (MCU) was a venture loaded with promise. Its conception appeared as a dynamic method of integrating the lower echelons of the Marvel pantheon into the wider MCU. After the success of The Avengers, this feat seemed plausible. It was not. 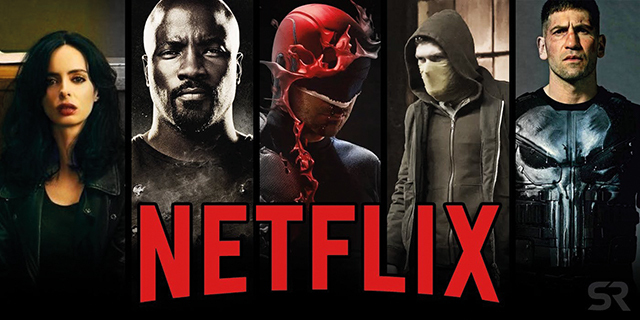 Daredevil was the first hero to get the Netflix show treatment. Its arrival was met with critical and audience acclaim. The dark tone and mature themes resonated with an audience in a manner that the films couldn’t. The season was almost unprecedented in its storytelling style and substance. Daredevil set the tone for the Netflix MCU, the ideal now was for the shows to accumulate in an Avengers style crossover titled The Defenders. An exciting prospect. Next; Jessica Jones. This show was another masterpiece in terms of superhero storytelling. The themes of sexual assault and subsequent PTSD had an engaging delivery. David Tennant’s despicably charming Kilgrave stole the show. Luke Cage was another bombshell. Created as a love letter to urban black culture, the show enjoyed a more pop-cinema aesthetic than its counterparts, with an invigorating soundtrack ranging from Motown to jazz to gangster rap to modern R&B. After three consistent successes, it appeared Marvel Television could do no wrong. This hypothesis was dashed against the rocks when Iron Fist flopped right onto a 19 per cent score on Rotten Tomatoes. Whereas its three predecessors had unique themes, tones, styles and characters, Iron Fist failed on almost all those fronts. Its protagonist, Danny Rand, was bland, as were his supporting characters. The fight choreography paled in comparison to its forerunners. This was the first chink in the armour of the Netflix MCU. The crossover show, The Defenders, was next on the production line, and the failure of its final hero did not inspire hope among the fanbase. The Avengers crossover worked for numerous reasons, one of the crucial elements of its success was the character interaction, they all had moments to shine, and the villain that brought them all together. Loki was the most popular and well received villain, despite the meagre reception to his character in Thor. The chemistry of The Avengers combined with their chemistry with Loki allowed for a fun, compelling narrative. Finally, Marvel Studios was under the direction of the visionary producer, Kevin Feige, with the talent to weave together a cinematic universe without compromising any one film’s artistic integrity. Contrast this with The Defenders. Forgetting Iron Fist, each individual hero had been given ample room to develop. Their shows contained a compelling story that they wanted to tell. However, the crossover event completely lacked this vision. The Defenders had very little chemistry. The weakest villain from their canon, The Hand, brought them together. Their appeared to be no Kevin Feige working behind the scenes to ensure it had vision. In short, the show wasn’t its own version of The Avengers. Now, imagine that The Avengers had been underwhelming. MCU would not have expanded as it did, the interest in the characters would have been severely diminished. This appears to have been the effect on the Netflix MCU. Iron Fist and Luke Cage lost nearly two-thirds of their viewership in one season and were cancelled. Jessica Jones season two received less acclaim than its previous season. Daredevil is the only show still standing on firm ground, with its third season securing universal acclaim. However, it’s still losing significant viewing figures. While each show has immense potential on its own,it was cut short in the ensemble piece. The remedy? A wider vision worthy of their cinematic counterparts. When? A year ago.